Does Leonardo share Steven’s reverence for Oz? Rumor is they chipped in along with a few others to purchase some very pricey red slippers. I expected to find much more playful WOO imagery in this movie. Maybe I was too intrigued in the story. This is one of my favorite Spielberg films. Perhaps you can do better. At the end, when Frank starts work in the drudgery of the FBI office, he is tempted to take off for the friendly skies one last time in uniform. 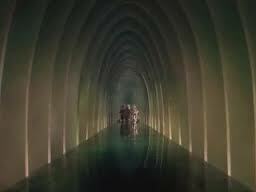 Carl encounters him in an exaggerated, artificial looking terminal that looks as weird and tunnelish as Oz’s Great Hall did. Almost a replica. You will note the oft-employed WOO open window scene, curtain blowing inward, in this film when Frank escapes on his wedding night. You recall Dorothy’s window blowing in and knocking her out heralds the strange adventures to come. Here too, a window’s breeze marks the turning point where Frank will never even be able to pretend to be ‘normal’ again. Though he’d hoped to lose himself in the in-laws’ Howdy Doody lifestyle, it turns out Frank’s father was right when he warned “You can’t stop.” It’s true: Frank can’t ever go ‘home’. He can only continue down the crazy path he committed to with his outrageous impersonations and forgeries. See Empire of the Sun, Hook, Twilight Zone the Movie Kick the can Episode, Joe Vs. the Volcano for other instances of wind blowing through open windows…the first sign that protagonist’s former life-path is about to be drastically altered. The bills flutter around almost ominously in the air current of the empty room as Carl arrives…very much like the leaves in the Witch’s enchanted forest do right before the monkey army attacks. From this point on, in both WOO and Catch Me, the danger sharply escalates for our protagonist. We see Frank’s desire to go ‘home’ when he calls Carl every Christmas wishing to be caught, wanting the madness to end. See Jaws, War Horse, The Terminal, A.I., The Color Purple, Sugarland Express, Close Encounters, Empire of the Sun, E.T., Saving Private Ryan, War of the Worlds, Super 8, 1941, Amistad, Minority Report, Munich, Hook, Poltergeist for other characters who just want to get home again. There’s a similarity to Empire of the Sun (and WOO in tornado) in repeated views through windows of surreal moments in Frank’s life: his mother remarried with a daughter stands out strongest, showing him he no longer has a home. Looking out the plane’s window at a world where his father no longer exists is another. See Schindler’s List. 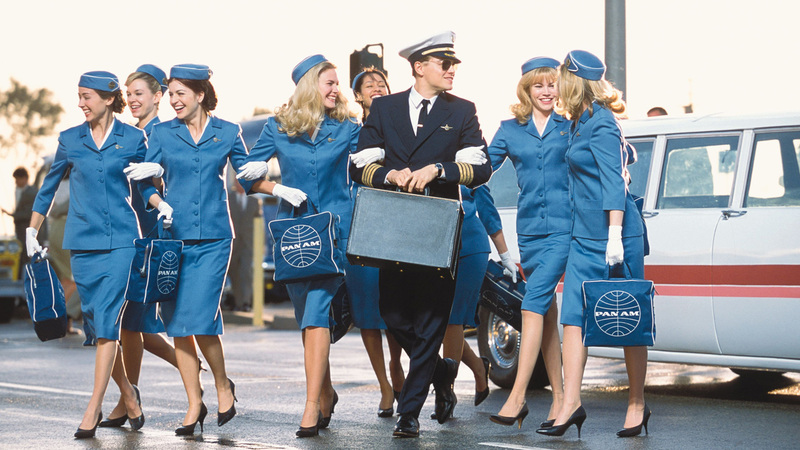 When Frank parades down the concourse in Miami linking arms with stewardess candidates, it mimics Dorothy and her companions’ solidarity. Also recall the pageantry of Dorothy setting out on the yellow brick road as the Munchkins bid her farewell or Emerald City’s inhabitants welcoming her… This scene offers the viewer several pretty Dorothy’s, all being winked at, smiled and encouraged forward by the awed FBI men and onlookers. See The Terminal, Joe vs.the Volcano, Twister, The Color Purple, Catch Me if You Can, Sugarland Express, Used Cars for more promenades. Also worth noting Frank is disguised in uniform in this scene blending into a parade of uniforms and so is camouflaged to those in pursuit of him. 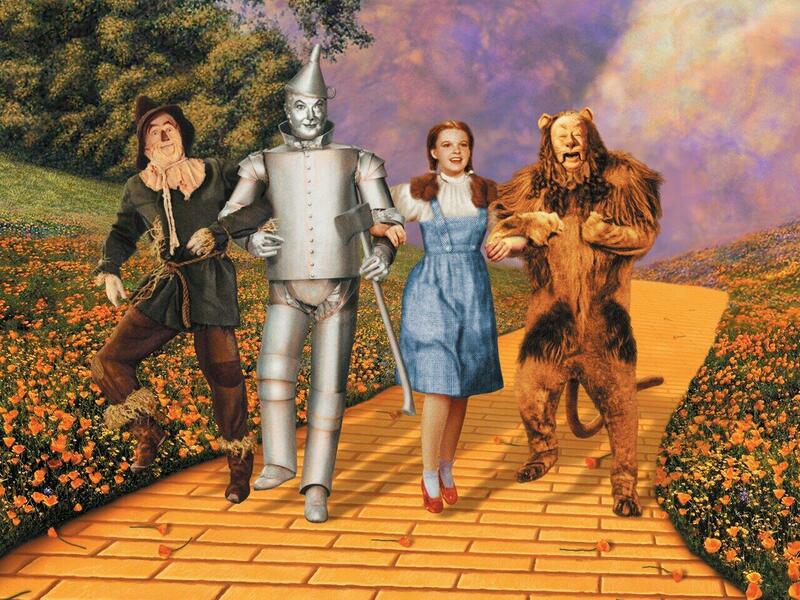 An oft-repeated trick: See WOO—Lion, Tinman and Scarecrow employ same uniform strategy for sneaking into the witch’s castle, replayed in both Super 8 and Raiders of the Lost Arc. Obviously Frank is spot-lighted in this film as the lovable trickster. We know we shouldn’t approve of his hijinks but we route for him anyway. Spielberg clearly has a soft spot in his heart for conmen and rogues like the Wizard of OZ. See See Empire of the Sun, The Color Purple, Lincoln, Munich, Saving Private Ryan, A.I., Always, Jaws, Joe vs the Volcano, Schindler’s List, The Goonies, Used Cars. As is the case with Oskar Schindler, Frank shows us the trickster often helps bring others’ goals to fruition at great personal cost and sacrifice.